Free SMS Unlimited Worldwide, Supported In More Than 200 Countries. Send free sms to world. Using Pumpsms.com we provide the service to send free SMS Texting From a computer. 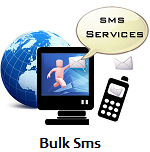 Send free sms International messages from this website to any Country. No need to send sms messages from your cell phone any longer. Do it all online!